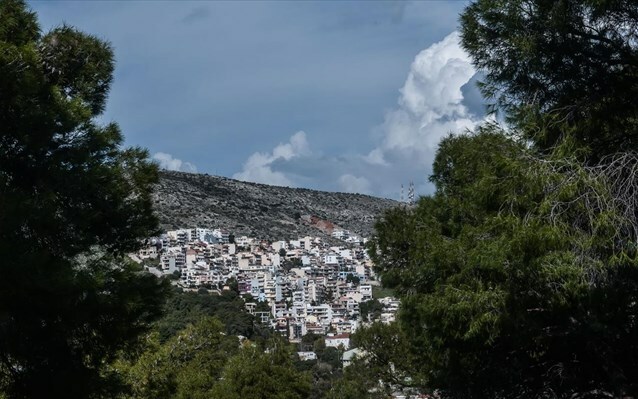 Created with residents and travelers in mind, this regularly updated page from official sources aims to provide information about current and upcoming strikes in Greece. The goal of strikes is to cause maximum inconvenience and pressure, so strikes in Greece — as in most countries — are rarely announced more than a week in advance, can happen spontaneously and change hourly. DO NOT ask me to predict strikes for certain dates or sectors. I understand you are seeking reassurance, but all I can give you is facts and refer you to “Q&A: Strikes in Greece,” where I answer 10 commonly asked questions about safety, racism, riots and what you can do to minimize risk. Bookmark livingingreece.gr/strikes, or be notified of strikes in Greece by following me on Twitter @livingingreece. *Last updated July 1, 2015 at 1:00. I work as an editor and do my best to keep everyone updated 24/7 since 2008, but note that livingingreece.gr and @livingingreece are unpaid side projects I run alone. All sources are cited and linked. Inaccuracies are attributed to the news agency quoted. Government websites, embassies, travel agencies, expat guides, “insiders” and bloggers copy information from this page without giving credit, so you are not necessarily getting confirmation from different sources. April 1: Events starting today. July 2: Events for Thursday. July 3: Events for Friday. July 4: Events for Saturday. July 5: Events for Sunday. Referendum on keeping the euro. July 6: Events for Monday. July 7: Events for Tuesday. July 8: Events for Wednesday. *Note that strikes rarely ‘paralyze’ or ‘cripple’ Greece, as described in international media. Most residents go to work, continue lives unimpeded and help travelers find solutions and alternatives. We know how to navigate around strikes. What follows is a brief description of major unions, what services are affected by strikes, and when and where announcements can typically be expected. All unions are separate entities and make their own decisions, which are not necessarily based on a majority vote. ADEDY: The public sector union Ανώτατη Διοίκηση Ενώσεων Δημοσίων Υπαλλήλων (ΑΔΕΔΥ), or Civil Servants’ Confederation, represents approximately 800,000 civil servants in Greece but not all workers are members, and strikes are not decided by referendum. Therefore, participation can vary by individual and location. Aegean Airlines: Because Aegean Airlines has its hub in Athens, it has little choice but to cancel or alter flight schedules if air traffic controllers (EEEKE) and/or the local aviation union (OSYPA) decide to strike. Press releases are typically published in Greek and English less than 24 hours before a strike via their website: www.aegeanair.com They cannot make announcements earlier because it causes far more confusion if they cancel or reschedule flights, then need to reinstate if the strike is ruled illegal or called off (which has happened). Airports: All airports in Greece are closed when air traffic controllers/ATCs (EEEKE) are on strike. However, only participating domestic, local airports are affected when the Federation of Civil Aviation (OSYPA) announces a strike. See below. Air traffic controllers/ATC (EEEKE): Ένωσης Ελεγκτών Εναέριας Κυκλοφορίας Ελλάδας (EEEKE), or Greek Air Traffic Controllers Association (GATCA), represents 653 air traffic controllers in Greece who earn an average salary of €3,000/month paid from Eurocontrol funds. They can choose to follow unions and strike the same day or not. When the union calls a strike, airports nationwide are forced to close, and all international flights to/from Greece and all domestic flights within the country must be canceled or rescheduled. Strikes of this kind can be ruled illegal by a court, though it is highly unlikely if only for a few hours. Sometimes bans are honored, sometimes it goes ahead in spite of it. During work-to-rule protests or “white strikes,” there is no overtime and strict adherence to Greek airspace rules, which state that a limited number of international and domestic flights can depart and land. If a plane does not depart within a time window that can be as little as 5 minutes, it loses its place in the queue and could wait several hours. This has a domino effect, in that late departures could mean destination airports are unable to accommodate late arrivals, and passengers miss connecting flights and must be re-booked. Athens transportation (OASA): Οργανισμός Αστικών Συγκοινωνιών Αθηνών (ΟΑΣΑ), or the Athens Urban Transport Authority, concerns city and airport buses (ETHEL), trolleys (ILPAP now OSY), tram (TRAM SA), metro (AMEL) and the green line of metro or elektrikos (ISAP). 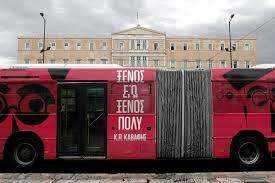 Mass public transport is called μέσα μαζικής μεταφοράς (MMM). They are often urged to strike 24 hours in conjunction with unions, though some modes may operate briefly to transport protesters to/from a demonstration or rally. Announcements in Greek are posted first by Greek media, then on the OASA and STASY websites: www.oasa.gr and www.stasy.gr. English-language media wait until less than 24 hours or the day of the strike now post a few hours after I do, in a bid to compete with me. Ferries and ships: There are 14 separate unions representing nautical operations, and it only takes one dissenter to cause disruptions in ferry or port services. When a court rules a strike illegal or if ferry companies and port workers state their intention to provide services, union members are still capable of blocking access to the dock or preventing passengers from embarking/disembarking. The majority of announcements come via the Greek media in Greek. Journalists: Journalists working as part of the Ελληνικών Μέσων Μαζικής Επικοινωνίας (MME), or Greek mass information media, must strike when board members call a blackout, even if they disagree since they do not have voting rights. Foreign press continue to disseminate news. Most strikes begin at 6:00 and last 24 hours, though they can end sooner if a compelling event occurs, i.e., On May 5, 2010, journalists broke their strike when three innocents died when Marfin Bank was firebombed by hooded youth. Announcements are in Greek via: a) Greek media; b) Πανελλήνια Ομοσπονδία Ενώσεων Συντακτών (POESY) or the Panhellenic Federation of Journalists Union at www.poesy.gr; or c) Ενώσεως Συντακτών Ημερησίων Εφημερίδων Αθηνών (ΕΣΗΕΑ), or Journalists Union of Athens Daily Newspapers, at www.esiea.gr. Lawyers (DSE): Δικηγορικών Συλλόγων Ελλάδος (ΔΣΕ), or the Bar Association of Greece, decides whether lawyers nationwide will strike but any of 63 individual prefectures can vote differently. When lawyers are on strike, court cases must be delayed and rescheduled. Announcements are made by Greek media. Olympic Air: Olympic Air has its hub in Athens and has no choice but to cancel or alter flight schedules if air traffic controllers (EEEKE) and/or the local aviation union (OSYPA) decide to strike. Press releases are first published in Greek then English less than 24 hours before a strike via their website: www.olympicair.com They cannot make announcements earlier because it does not make sense to cancel or reschedule flights, then reinstate them if a strike does not go forward (which has happened). Pharmacists: The του Πανελληνίου Φαρμακευτικού Συλλόγου (Π.Φ.Σ. ), or Panhellenic Pharmacy Association (PFS), announces nationwide strikes at its website www.pfs.gr or blog. 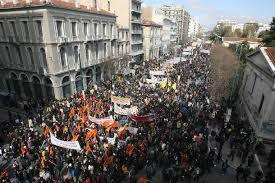 There are several local associations that can decide on separate action, including those in Athens and Piraeus. Taxi cabs: Taxi cabs are impacted by 24-hour strikes that normally begin at 5:00, with announcements made by owners via Greek media. If public transport goes on strike, taxi companies are known to decline appointments unless you’re a regular customer, and standing on the street and/or sharing a cab will be necessary. Customers can report bad behavior by writing down the license plate number, then calling the tourist police at ‘171.’ The taxi complaint hotline was shut down due to budget cuts. The idea for this page was born from more than a decade of frustration, hearing people spread inaccurate information and living in Greece without timely notice of strikes, as the only two English-language newspapers published information the same morning of the strike or after it was over. I first wrote individual posts in 2008 and 2009, but this proved time consuming when strike action intensified and my full-time personal and professional commitments limited how fast I could post news. Following conversations with Easy Travel Report, a one-stop page was created. Predictably, a dozen websites and Twitter feeds copied the idea in 2010, which makes no sense in the case of Greek speakers since they already had plenty of news sources and advance warning. Note: Please note my copyright policy and be aware that plagiarism and copyright violations will be pursued.